Now you can take all your field measurements with one meter! Rugged, reliable and waterproof – backlit display. Field-replaceable DO electrode modules; pH and pH/ORP probes. RS-232 and Compatible with EcowatchTM for WindowsTM data analysis software. User-upgradeable software from YSI website. Powered by alkaline batteries with optional rechargeable battery pack. Easy-to-use, screw-on cap DO membranes. Available with 12, 30, or 60 foot cables. 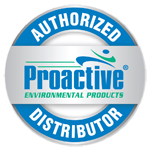 Dissolved Oxygen Specifications: Range 0 – 50.00 mg/L, 0 -500% Saturation, Resolution 0.1 or 0.01 mg/L, Accuracy: 0 -20 mg/L ± 0. 3 mg/L or ± 2%, 0 to 200%±2%, 20 -50 mg/L ± 6%, 200 to 500% ±6%. pH (ORP) Specifications: Range 0 to 14 pH (-999 to 999 mV), Resolution 0.01 (1 mV), Accuracy ± 0.1 (±20 mV). Temperature Specifications: Range -5.0 to 50.0°C, Resolution 0.1°C, Accuracy ± 1°C. Conductivity (Salinity) Specifications: Range 0 to 100 mS (0 to 70 ppt), Resolution 0.001 mS to 0.1 mS (0.01 ppt)Accuracy: ± 0.5% of reading + 0.001 mS (± 1.0% of reading or 1 ppt1). 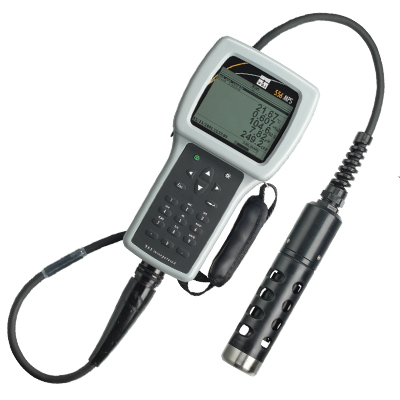 Versatile, multi-parameter handheld instrument. Impact-resistant, waterproof case with a 3-year warranty. Measure, simultaneously, dissolved oxygen, pH, conductivity, temperature, and ORP. Field replaceable electrodes, data analysis software, GLP feature, screw-on cap membranes, RS-232 connectivity, and memory for over 49,000 data sets (time and date stamped)!